We are offering Solvent Yellow 2 to our clients. ?? 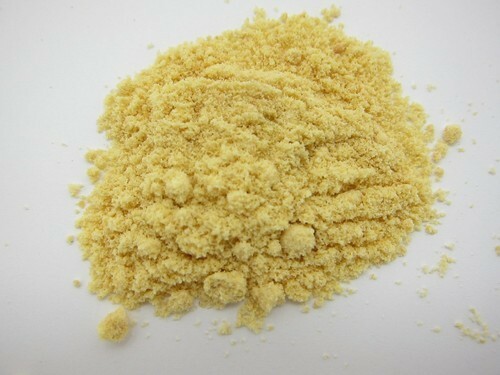 Properties and Applications: Yellow to red light yellow Light yellow powder, melting point 115 deg Cel (yellow flaky crystal). Insoluble in water Soluble in ethanol for yellow solution Oil soluble In concentrated sulfuric acid to yellow, red after diluted solution Mainly used for Aviation fuel TETRAETHYLLEAD stability agent and pH indicator, also used in paraffin, polystyrene, oil and soap stain Chemical Formula: C14H15N3 Synonyms: p-(Dimethylamino)azobenzene N, N-Dimethyl-p- C.I. Solvent Yellow 2 Brilliant Fast Oil Yellow Brilliant Fast Spirit Yellow Brilliant Oil Yellow; Butter Yellow C.I. 11020; Cerasine Yellow GG Dimethyl Yellow DAB; DMAB; Enial Yellow 2G Fast Oil Yellow B Fat Yellow Fat Yellow extra conc Fat Yellow A Fat Yellow AD OO Fat Yellow ES Fat Yellow ES Extra Fat Yellow R Grasal Brilliant Yellow Methyl Yellow N,N-Dimethyl-p-(phenylazo)aniline N, N-Dimethyl ?? Stability: Stable, but heat and light sensitive Incompatible with strong oxidizing agents, strong acids.